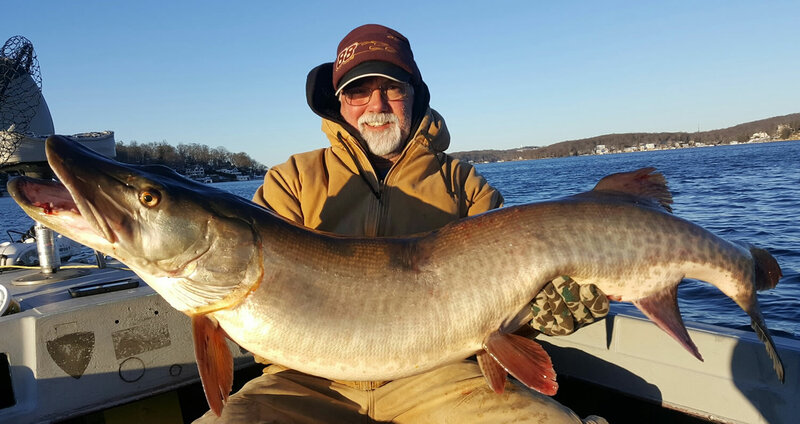 Giant muskies don't stop hitting in cold waters! Mike Carroll with 49", 33 lb. Lake Hopatcong monster.